We made some last minute plans to spend Memorial Day Weekend in Newport. I have never been before and wanted to make the most of our 2-night stay. After about a 4-hour drive, we made it. 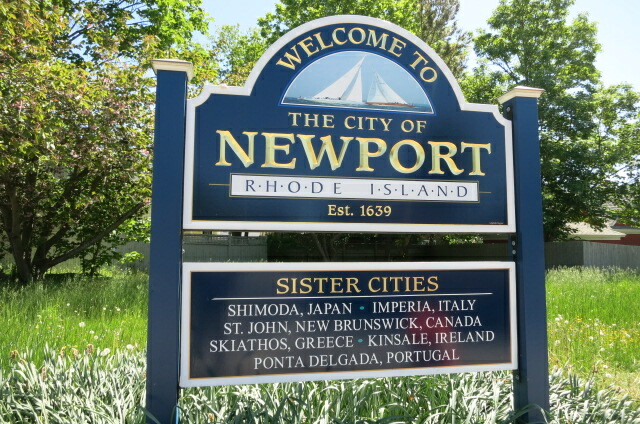 Welcome to Newport! It was fairly early and we stopped by our harborside hotel and were told to come back around check-in time. No surprise. We wanted to grab some lunch and walk around anyway. It was a mild day and a bit windy as expected with any waterfront city. 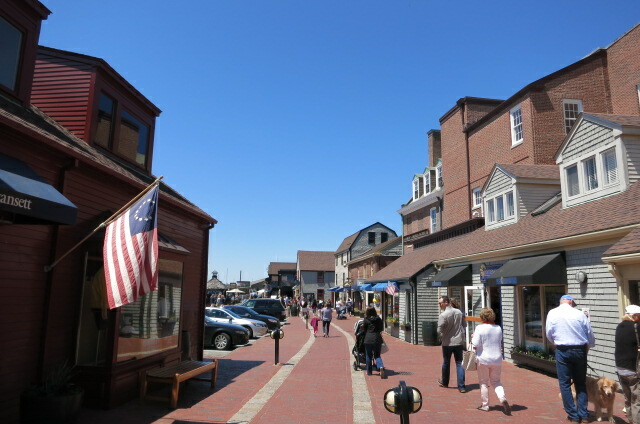 We walked along Thames Street which was filled with lots of boutique shops and restaurants. I loved Newport already. After strolling for a bit, it was time for lunch. 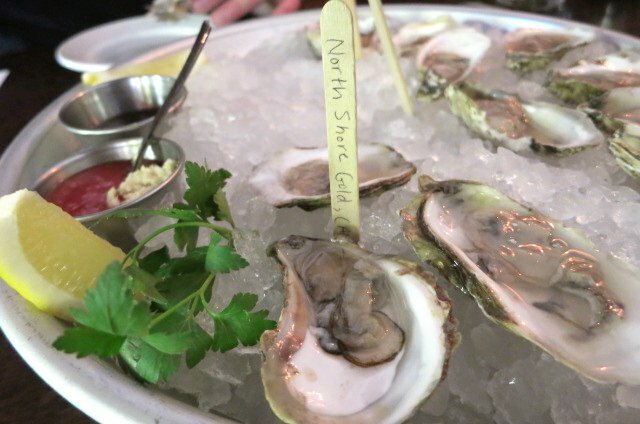 We came upon the Midtown Oyster Bar located at 345 Thames Street. We were seated at a table in the back right away. They also had an outdoor area upstairs, but there was a bit of a wait and we wanted to check out a brewery tour soon. We ordered a couple Hopponius Unions. An IPA by Jack Abbey’s Brewing in Massachusetts. Nice and hoppy. We had to try some oysters. 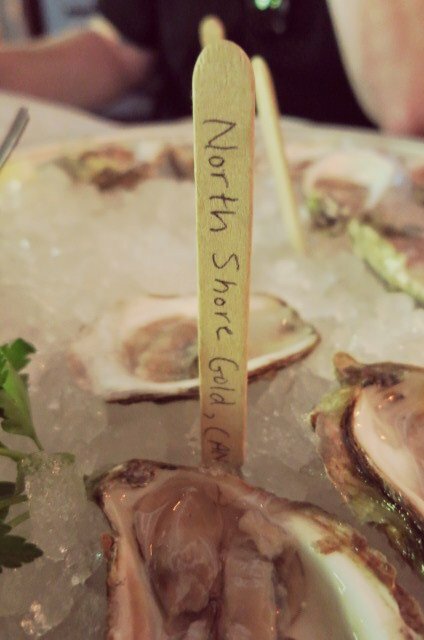 They offer a wide variety of fresh oysters from around the US and Canada. We decided to do a sampler of 3 different kinds. The first ones were the North Shore Golds from Canada. 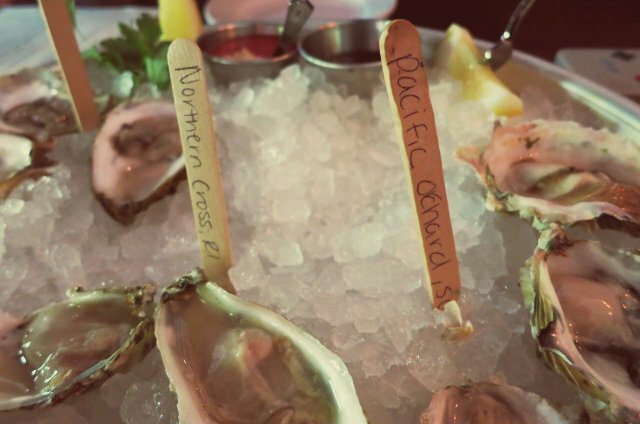 They were briny and slightly sweet. These ended up being the favorite. The second kind were Northern Cross from Chesapeake Bay, Virginia. They were nice and salty with a nutty finish. 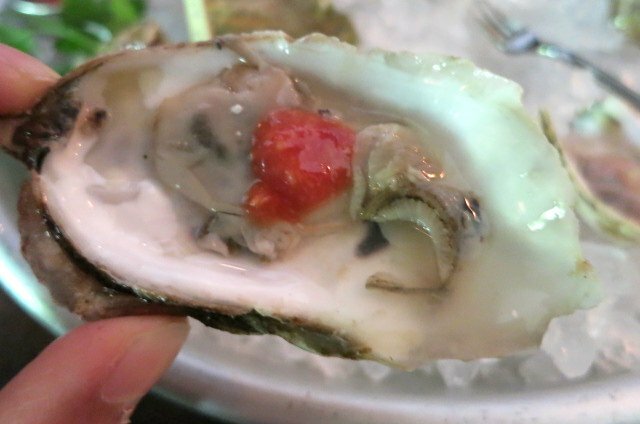 The third type of oysters were the Pacific Orchard from British Colombia. They were slightly salty and were described as having a watermelon finish. I didn’t get much of that, but it was still good. The oysters made a great appetizer. I also ordered the freshly made quiche of the day. It was lobster! 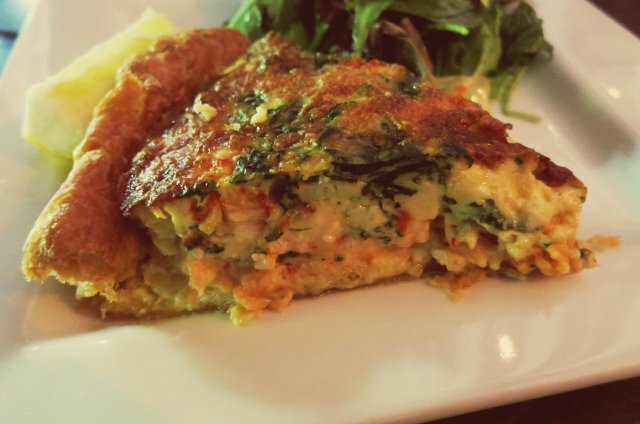 The quiche came with a small side salad. It was served warm and the crust was flaky and buttery. 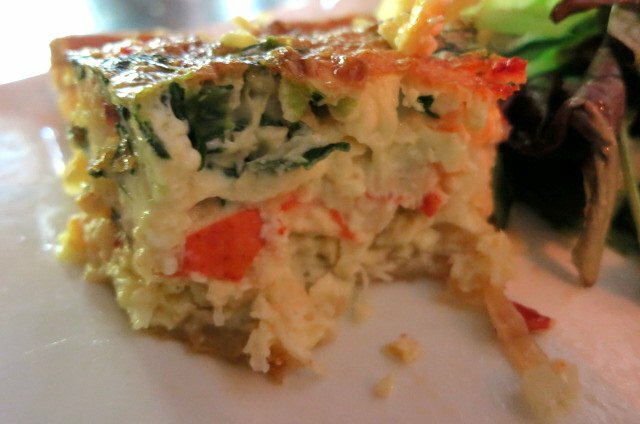 The savory custard filling of lobster, cheese, and spinach was delicious. We enjoyed our first meal in Newport and it was almost time for that brewery tour. The interesting thing about Newport is that there weren’t any Uber drivers available when we pulled up the app and the main taxi company was very unreliable and told us waiting times of up to 3 hours! We thought that was very unusual, especially for a busy holiday weekend. We were told that the majority of drivers work in Providence and very few venture out to Newport. When we finally found an Uber, we found it easier to keep in touch with that one driver throughout the weekend. Off to the brewery!